I mean how cool is this water cooler filled with booze? Totally a way to liven up that water cooler talk at almost any office! 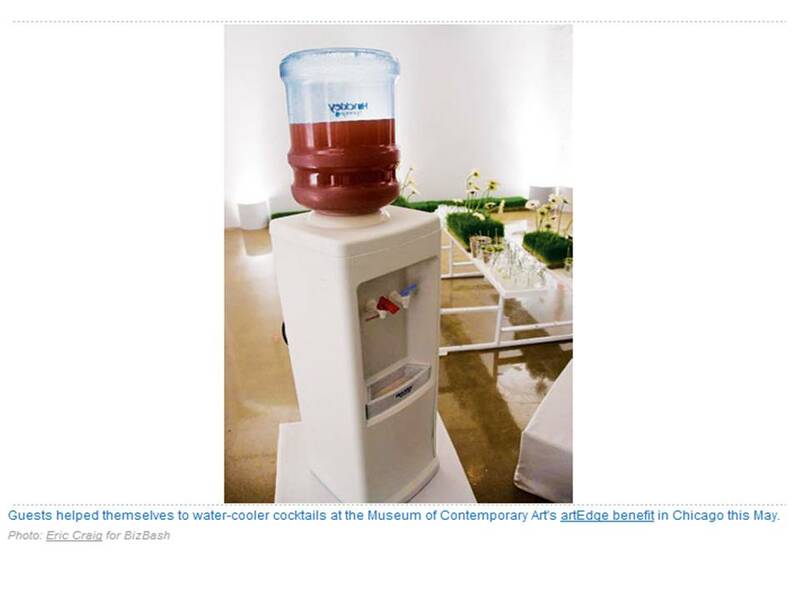 This awesome cooler was used at a Chicago Museum of Contemporary Art benefit last May.